“It feels strange. I feel like this isn’t our first meeting.” Red Lotus stared at Yun Xi with a murderous look. The Red Lotus Holy Sword suddenly emitted strange blood colored lights on her hand. This should be their first meeting, but from the first moment, Red Lotus didn’t like the silver masked man at all. Especially when looking at his stupid face while he was surrounded by his million brides… What a shameless man! The anger in her heart was rapidly increasing. It’s too strange. Even if this man had deceived countless girls… what do I care? It has nothing to do with me! After all, males are such a dirty low form of life. Their lives are totally meaningless. There is only one important person in this world, who needs my comprehensive protection. She is my light, my gem, my hope, the other half of my life, my sister, White Lotus. I only need my sister. I don’t care about anything else in this world. After all, this world is so dirty. Red Lotus in the past had seen the most ugly side of life countless times in her life, she had seen too many false smiles on males disguising their faces. Males always pretended to be respectful of her, simply because she and White Lotus were the twin witches, who were doomed to be the future masters of the White Lotus Sword Domain. However, once she turned away her eyes, most of these males would secretly look at her with greedy ugly eyes, because they knew that to obtain the twin witches was equal to obtaining everything in the White Lotus Sword Domain. After all, this sword domain was Yun Hai, the Sword Master’s domain, where he was hiding the supreme White Lotus Secret Treasure. Countless people wanted to find the legendary secret treasure. From the age of ten, the people who wanted to obtain the twins were already as many as the flies in a garbage dump. After being betrayed more than once, Red Lotus finally understood a truth of the universe. No one would be good to you for no reason. All males have a ugly heart. After realizing this, she chose the hardest road, holding the Red Lotus Holy Sword in her hand. She didn’t care if she would be swallowed by the scorching flames on the sword blade, because she needed the Red Lotus Holy Sword to protect her sister. Only White Lotus, only White Lotus shouldn’t be stained by dirt in this world. She should be pure and innocent forever! In order to protect her sister, Red Lotus could even turn into a demon and burn everything. Well, this shameless, lecherous man is undoubtedly one of the trash heaps that needs to be incinerated completely. The more “trash” I burn, the sharper my sword will become, and my heart will also become clearer and lighter. Therefore, for the sake of White Lotus, please go to hell! For White Lotus, even though you are a god’s Apostle, I will still kill you! Raging flames danced under Red Lotus’ feet, forming a bright cloud of fire. It looked gorgeous, but also very dangerous. White Lotus closed her eyes. Her fingers moved to trace the trajectory of the future. They are coming! The doomed twins of fate are coming! Yun Xi stretched out his hand, countless ice crystals danced and jumped on his palm. “Red Lotus Avatar!” Red Lotus didn’t look down at Yun Xi. She knew how Yun Xi sealed Hua Huo, so she used one of her strongest skills from the start. She just mastered this skill not long ago, after a nightmare that she had forgotten the content of, but was very uncomfortable. In the nightmare, she was protecting the most beautiful person in the universe, her sister. However, a thief stole her sister in front of her in the dream! Arrrggghhh! Everytime Red Lotus remembered this dream, she would shake with anger. Who? Who is the man? Who is the man who dared to kiss my White Lotus’ lips and stole her heart?! If it wasn’t just a dream, she would give deadly chase to this person to the ends of the world, till she tore him to pieces! Her sister is her own treasure. She won’t let anyone take her away! This “avatar” was what Red Lotus understood after waking up from the bad nightmare. By using the power of the Red Lotus Holy Sword, she turned her anger into the immortal flames! Burning! Burning! Burning! Burning! Burning! Burning! The silver ice crystals on Yun Xi’s fingertips quickly formed a shape and spread in the air. It was an old, mysterious ice river! It was the special ability of the Mist Soul Army’s Crafting Mode: Build Wonders. The things Yun Xi could make weren’t limited to the Ice Castle, the Arrow Tower, and the Ice Prism Matrix. In theory, the Mist Soul Army could help Yun Xi make anything in his mind. Infinite imagination means infinite wonders. The Ice River flowed across the sky was one of Yun Xi’s masterpieces of his imagination. It was a river formed by countless ice crystals. Compared to the Ice Castle Yun Xi created to seal Hua Huo, the effect of the Ice River was more straightforward and faster. Red Lotus just turned into her Red Lotus Avatar, she found that she was trapped in a huge ice cover that was dozens of metres thick. 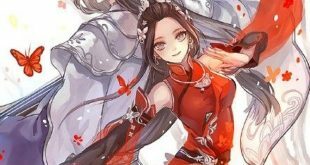 “Insignificant skill.” Red Lotus sneered looking at the ice crystals around her. Her Red Lotus Avatar’s explosive strength was as strong as an erupting volcano! In the sky, the battle between Yun Xi and the twin witches immediately entered the hottest stage. “Oh, I can hear them! I can hear the sounds of your heartbeat and the sounds of your flowing blood. What a splendid music!” The Dark Shadow Spider Queen picked up a translucent standing cup and drank, watching the battle on the Island of Mist. From the sky to the ground, the Island of Mist had become a huge battlefield. Every minute and every second, thousands of beings died here, leaving this world after emitting their last sigh. Yun Xi’s Mist Soul Army could revive over and over again, and the Dark Shadow Spider Queen’s Slime Army could also divide and divide again. Hua Huo gradually forced Yun Que to a corner; Yun Xi and Red Lotus was having a tough battle. Only the Dark Shadow Spider Queen sat on the throne and looked down at them from the sky. Behind the spider queen, countless ripples appeared and spread in the air. Finally, Shaya Longnis, the Sky Sword would come to this world.